Are you itching for the grand canyon, but don’t have the patience to drive or fight crowds of other tourists? 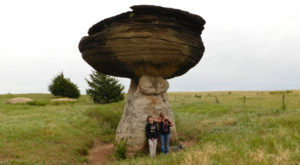 Looking for those unique rock structures in your state? Here’s the solution! 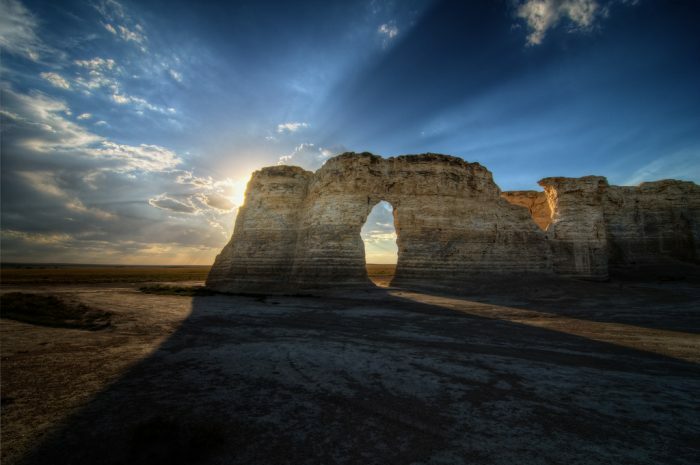 The ever gorgeous Monument Rocks (or Chalk Pyramids) are in Western Kansas just waiting for you to visit. 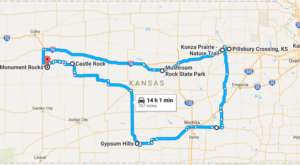 They’re one of the Eight Wonders of Kansas, and there’s good reason for that! There’s nothing else like it in the state. Come see for yourself! 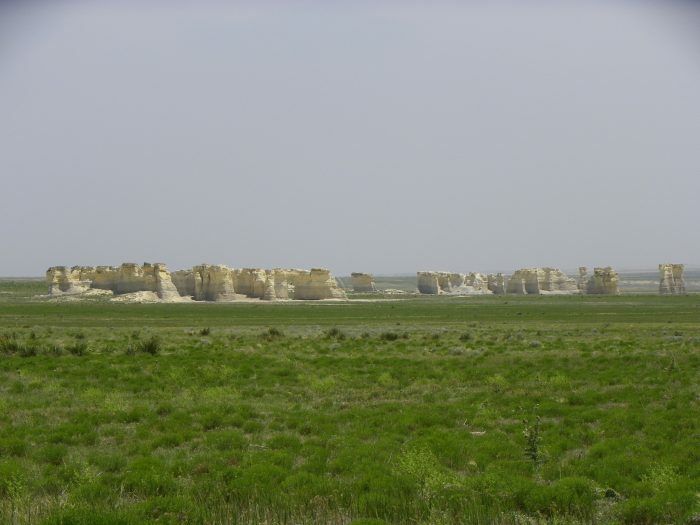 Monument Rocks is a formation made naturally from Niobrara Chalk around 80 million years ago, when there once was a sea flowing through the Midwest. 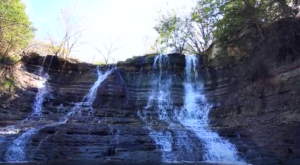 In Gove County, along the Smoky Hill River, you'll find this gorgeous natural wonder. They reach up to 70 feet high, and have arches, holes, and other wonders for you and the family to explore at your leisure. 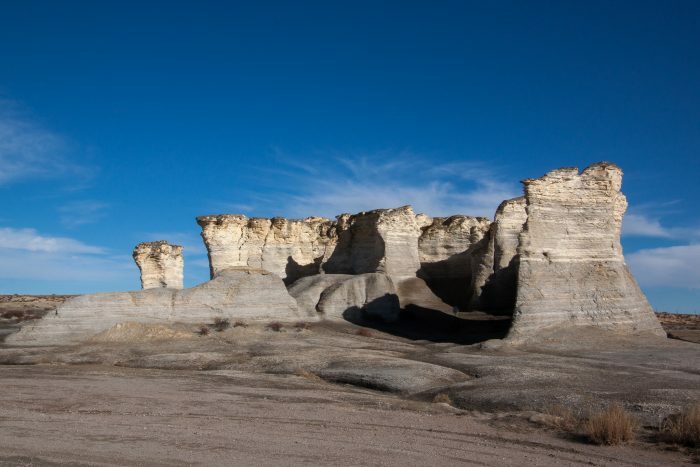 You're free to walk around these specific formations, but smaller ones around the Smoky Hill River aren't open to the public. 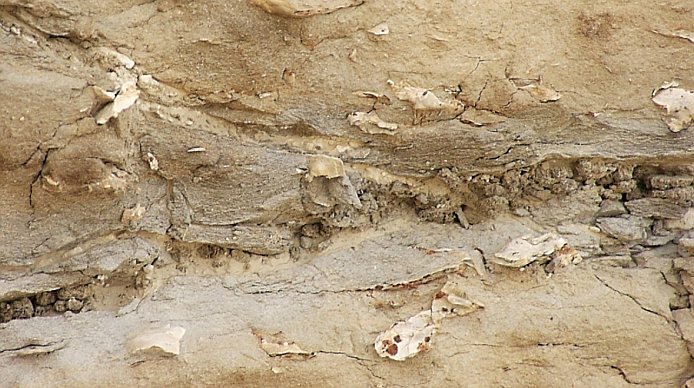 It's riddled with fossils of sea life from around the Cretaceous period. Here's some fossils they've found in Kansas so far! As per usual, every one of Kansas' wonders can only be made better by a sunset. 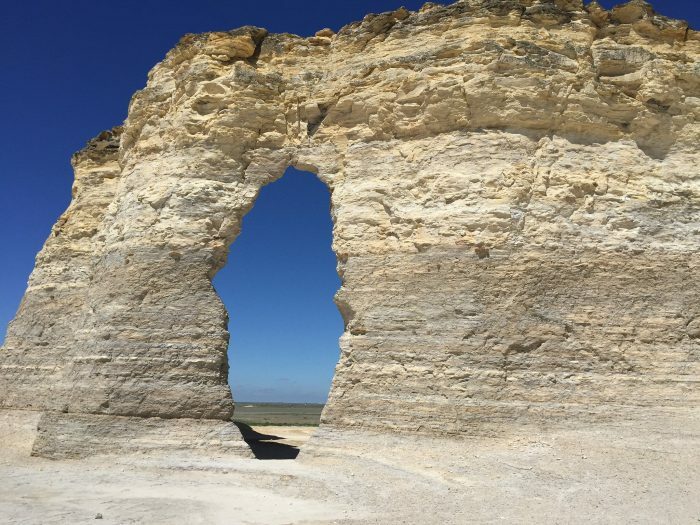 Why not take a day trip to this gorgeous geological wonder? It's definitely on my bucket list, that's for sure. 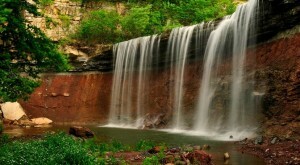 Have you ever visited this special place? Tell us about it in the comments!